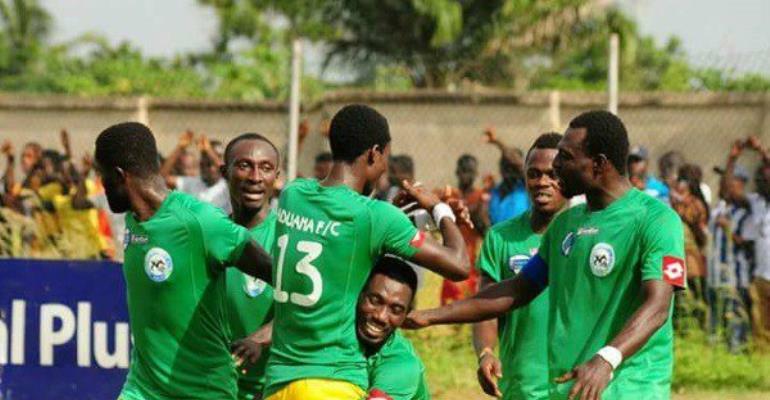 Former Berekum Chelsea coach, Anthony Lokko has cautioned Aduana Stars to expect a tougher game against Algerian side Entente Sportive de Sétif when they lock horns in the CAF Champions League on March 4 at the Nana Agyemang Badu Park at Dormaa-Ahenkro. The Dormaa based club will take on the Algerian side in the preliminary round of the competition and will play in the money if they beat them and the veteran trainer believes they have the quality to qualify for the next of the competition. “They have a good team but must expect a tougher game against their next opponents in the CAF Champions League. That is the way the continental campaign goes and you must be ready to deal with it. “I believe in their coach a lot, who, to me, is one of the best in the country and will be very key in deciding the game over both legs,” he said. He urged Aduana to be more clinical against their opponents by taking their chances in the game. He, however, advised against complacency, which he said, could be a key factor in the tie and expected the Premier League champions to win big at home.